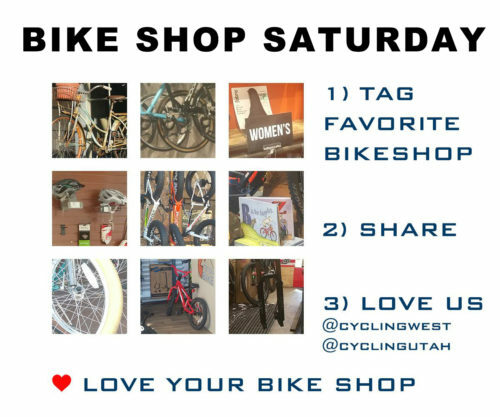 November 25, 2018 (Salt Lake City, Utah) ­– Bike Shop Saturday, an event designed to be a bike friendly alternative to Black Friday and Cyber Monday, will be held worldwide on December 8, 2018, the second Saturday in December. The event was created by Cycling West and Cycling Utah (cyclingwest.com), a leading consumer bicycling magazine. The event was first held in 2012. Bike Shop Saturday is a global event held the second Saturday of each December. Come out to your local bike shop and support them. For more on Cycling Utah, visit http://cyclingwest.com or http://cyclingutah.com or follow on facebook.com/cyclingutah and twitter.com/cyclingutah.